When dogs ate agenised bread they became dizzy, they staggered about, and before they died they went into convulsions. Human bodies stand up to a great deal more abuse than do the bodies of dogs. I have seen horses and dogs die from snake bites, and I have seen humans who have been bitten by the same kind of snakes, and they did not die. In general terms, humans are far more resistant to poisons than are dogs and horses. When agene was still being used, I read that an illness deprived three Doncaster people of their physical sense of balance. One newspaper reported, "They could not stand or walk properly, and they could not keep on their feet without staggering. After six weeks treatment the local doctors said it was difficult to determine the cause of the staggering". Perhaps so, but I find a certain similarity between what was happening to the humans, and what happens to agenised dogs. How did that happen in Doncaster? About three years ago the question was asked in Parliament. It ran something like this. "Was it true that several tons of bad fish paste has been mixed with good fish paste and sold to the general public?" The answer was, "Yes", and it was explained that by mixing it in a certain way the poisonous content had been brought below the level that was considered unsafe and it was put in the shops and sold. A little later I had as a patient an analytical chemist who had been working for the Ministry of Food. To him I remarked about this strange idea and asked, "Does mixing bad stuff with good make the whole good?" He looked a little self-conscious and said: "You know, until I read your comments in a recent article, it never struck me as being in any way wrong. The problem as set to me was "How could this consignment be treated to reduce its toxicity to a level that would make it fit for consumption and release to the public?" After working it out I decided that if it was mixed with five times its weight of sound stuff it would be all right. We work by trial and error. We send a trial amount to a restricted area and our scouts are sent to report if there has been any illness among the customers. Only if there are no complaints is it given general release". Such a scientist takes into consideration only the one particular problem set for his solution at that moment. He figures his answer out to so many decimal points. But if he omits some vital factor, his findings are liable to have an adverse effect upon you and your neighbours. "One of the firms manufacturing ‘miracle drugs’ in a single year made over forty two million dollars out of an investment on plant and machinery of only seven million dollars, their income for one year some six times their capital investment". In this country (England) much larger firms are training our farmers to use chemicals on the soil, so that they are ruining their land instead of farming it. When it was claimed that composted soil grew altogether better-quality crops than soil treated with artificial manures, one firm of large manufacturing chemists admitted that this was so, but reported that the crops would not be so large without chemicals. I suggest that honest reliable foods are more important than mere bulk. Chemists are dangerous mentors to accept as guides toward normal health. All their twisted ways from sprays on fruit, to chemicalised bread, are directly opposed to everything we stand for, and understand by high level health. For that we must return to symbiosis and simplicity. As we have seen, the real advance in general health in this country, over the past century or so has been due to improved sanitation, housing, and an understanding of dietetics. Although medicine often claims credit for the improved life expectancy, in plain fact the medical men have often opposed genuine enlightenment. They have also often retarded improved health in the most direct way by introducing poisonous drugs and deadly injections into their patients. The only way to become healthy and remains so, is to make our lives fit for the natural scheme of things. We must play fair with other living things, be they plant or animal, and regard our bodies as intelligent mechanisms capable of self-repair and self-cleansing. Most of the really crippling diseases are the result of attempting to obstruct or suppress the body’s self-healing process—each of which the medically-minded person sees as a "disease". The self-cleansing processes are sometimes uncomfortable, but they have a positively constructive function. They are the only means whereby the body can be truly "cured". No human being can "heal" another; healing is an intrinsic power of each of us. Very often the most helpful treatment we can apply during an active phase of self-healing is non-interference; simply keeping the body warm and desisting from embarrassing it with food. Miracle drugs always turn out to be misfires; it may take a few years for this discovery to be made, but it always occurs. It cannot be otherwise, because drugs function by poisoning or disrupting the body’s working. 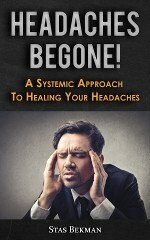 Stopping a symptom is relatively easy; the real task is to improve the entire state of the living body, and as a rule that calls for patience, understanding, and a determined effort. At all times the health seeker must be on the alert to avoid damaging factors such as the adulterants added to many every day foodstuffs. The fact that food manipulation takes place with the full sanction of government departments is no safeguard to the consumer. The follower of Nature Cure must be prepared to accept responsibility for his own course of action, and if necessary steer contrary to orthodox influences when these conflict with his own reasoning. There are many groups interested in persuading the individual to abuse their system and to load it with damaging preparations. The real safeguard is an intelligent understanding and a realisation that no one has a greater interest in ones well being than ones self.